PSA: Today is the start of both CMA Fest and Bonnaroo. Plan your eternal traffic nightmare accordingly. A man that allegedly killed his former boss with a hatchet Monday morning in Green Hills was arrested Tuesday night in Kentucky. The suspect had previously been arrested at the White House by the Secret Service. Mayor David Briley’s proposed budget got its first public hearing and let’s just say not everyone was happy with it. The council is expected to consider several amendments. Sheri Weiner, the Bellevue metro council member elevated to the position of Vice Mayor with David Briley becoming mayor, will run to complete Briley’s term on the August 2 ballot. Council member Jeremy Elrod and Council-at-large member Bob Mendes have both announced they would not be running after floating the idea before Memorial Day. This information changes by the day, but add At-large Council Member Jim Shullman to the list of folks running for Vice Mayor. It’s shaping up to be a crowded ballot (again). Former County Clerk John Arriola, is also considering running for the Vice Mayor post, calling his past mistakes “teachable.” He had resigned from the clerk job in 2012 after being accused of pocketing more than $119,000 in fees for performing weddings. A group of metro council members is taking a more metrics-based approach to affordable housing, which has been identified as one of the top challenges facing Nashville. The measure would require the mayor’s office to produce a scorecard of progress towards that goal. A fourth person has resigned from the Metro General Hospital board of directors over that body’s decision to extend the CEO’s contract another three years without a performance evaluation. The beleaguered hospital has struggled of late to secure funding for metro to serve the city’s indigent population, and was briefly positioned to become an outpatient clinic instead. It is time for the Nashville Scene‘s 30th (!) Annual “You Are So Nashville If” contest, so break out your wittiest one-liners about the city we call home. Check out our archives if you need inspiration and get submissions in by June 22. 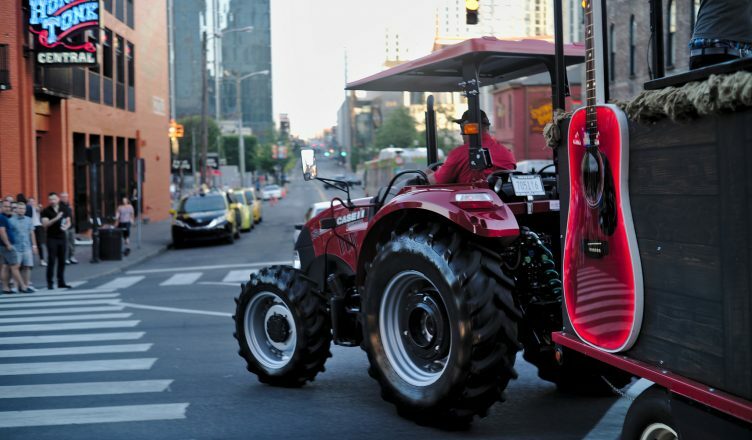 Another council member, not to be outdone by the aerial gondolas last month, is proposing a fleet of autonomous shuttles to solve the city’s traffic issues, with a reach outside of Davidson County. The announcement did not include funding details. They also took up the issue brought about by Bird scooters, those electric “dockless” scooters you see just about everyone riding around on downtown. The proposed ordinances seek to limit the number available, as well as require safety measures be put in place for riders. But wait! Now the company says it plans to pull out of Nashville entirely. Or maybe they don’t? Downtown bar owners say there is way too much trash on Lower Broadway, and not the drunk tourist kind. One says the addition of rooftop bars has made the situation worse, with not enough room in alleys for dumpsters. The horse-drawn carriage ride business is worried that a new study will be used to put them out of business in order to speed up traffic through the downtown area, though city leaders say that is not the intention. The study highlighted other slow-moving vehicles like pedicabs. If you are the outdoorsy type, beware that tick season is really, really rough this year. This author’s dog can attest. Photo by Chris Wage. Want to see your photo featured here? The Official 2018 CMApocalypse Bingo Board!